As parents we are constantly concerned about the wellbeing of our kids. Are they well rested? Are their tummies full? Do they feel ok? Are they learning enough? My entire world revolves around making sure they have everything they need to thrive. It’s funny because as soon as you get comfortable in one phase, they reach a new developmental milestone and our whole routine has to change. Comfort zones are not a thing when you’re a parent so you just roll with what you’re given and do your best to make sure they grow into happy and healthy little humans. These milestones are so exciting but they can also throw you for a loop. One of the biggest challenges I’ve tackled as a parent is transitioning to solids. It’s a whole new world when you introduce real food to your kids. Then the questions start…Are they still hungry? Am I feeding them enough? Are they eating enough vegetables? How do I get them to LIKE food? My biggest advice is to trust your gut, allow your kids to experiment with all types of food and find brands that can make your job easier. Maybe in my next life I’ll be the mom who steams and purees her kid’s food, but for now I rely on products that help ensure my boys are getting the nutrients they need. One of our favorite brands (which we have loved since Charlie was a baby!) is Beech-Nut® Naturals™. They are a small company in upstate New York (only 300 employees!) who are passionate about creating real food for our little ones. Their products are inspired by homemade, 100% natural, no artificial ingredients and created by moms and dads who want the best for their kids. When Jack first started solids we used and loved their jar purees. A few of Jack’s favorites include Just Apple & Kale, Just Pineapple, Pear & Avocado, and Just Pear & Blueberry. Although we have moved on to eating actual solids, we still fill his tummy up with purees after every meal. One challenge when you start your kids on solids is never knowing exactly what they are getting (especially after realizing half of their meals end up on the ground) so we look at their jar purees as Jack’s dessert. He loves them! Not only to we use and love their purees but Charlie is obsessed with the brand’s simple toddler snacks, like Beech-Nut® Quinoa Crispies bars (think of them as a healthy rice crispy treat!) and Fruity Oat Bars. We always have both products in our snack cabinet so if you’re looking for treats for your toddlers, these are a couple favorites! I’m very conscious of the foods we give to Charlie and Jack, which is why I rely on brands like Beech-Nut®. A huge thank you to Beech-Nut® Naturals™ for sponsoring this post! A brand we use and love! No joke, every single time I see a photo of little Jack, I can here you singing “ba-by Jack da da da-da-da-da da-da-da ba-by Jack….” and I kind of love it. 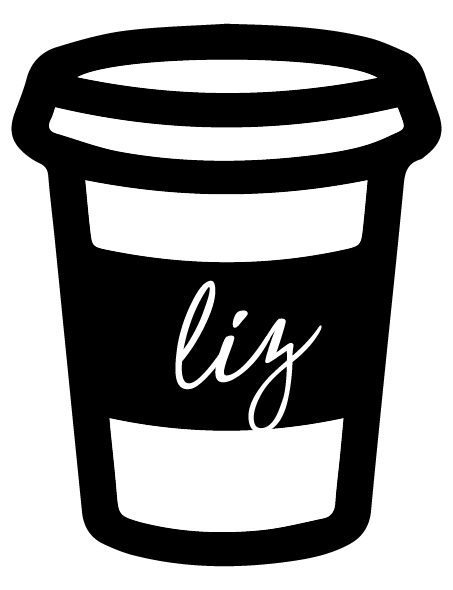 Love the new website Liz! It really does a great job highlighting the “new you”!